Founded in 2003, Melodia is exclusively dedicated to exploring, creating, and performing exemplary classical and contemporary music composed for women’s voices. Melodia nurtures the next generation of women composers through commissions and performances and holds a composers competition periodically. Under the leadership of Jenny Clarke, Executive Director, and Cynthia Powell, Artistic Director, Melodia has performed at Symphony Space, Merkin Concert Hall, DiMenna Center for Classical Music, and the Church of Saint Ignatius Loyola. We have been heard on WQXR and Q2 radio, including in “Her Music: 24 Hours of Emerging Women Composers,” in 2014, 2015 and 2016, and seen on NBC television. 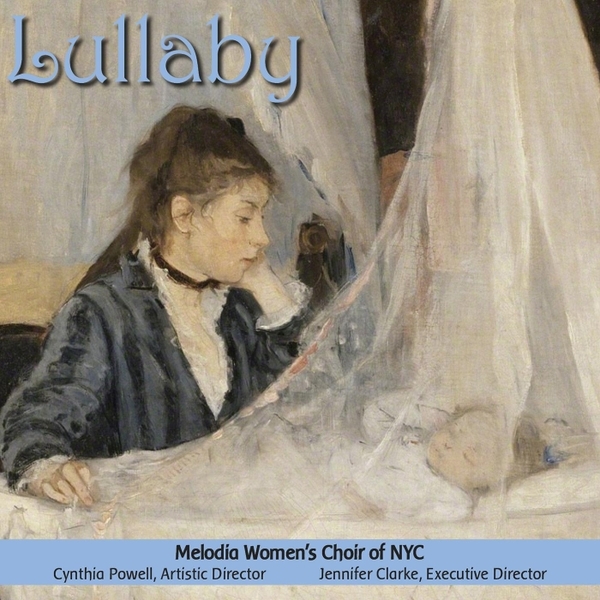 Melodia is the recipient of two WNYC/WQXR Radio Salute the ARtS Initiative awards and released its first professionally-produced recording, Lullaby, in 2014. Read all about our spring 2018 concert featuring the music of Elliott Carter, Christina Whitten Thomas, Sally Lamb McCune, Paul Halley and Kevin Siegfried now featured at VAN.org. WONDROUS WOMEN’S CHORAL MUSIC TO THE WORLD! Three voices from the past bring to life the story of Vivaldi’s great work as originally performed by the women and girls of the Ospedale della Pietà, in Venice, in 1715. Anglo-Armenian composer Cevanne Horricks-Hopayian was selected by a jury of three as the winner of the 2017 Melodia Commission Competition. Cevanne, who lives in London, will compose a new work to be performed by Melodia in Fall 2018. A deep thanks to all the composers who submitted their materials. It’s extremely gratifying to know of the wealth of talented women composers who are currently active in choral composition. Click the box on the right for details. I want to write to you of all the immense and deep and glorious music and pleasure you and your efforts have given over the years. The range of music is so incredible, I feel introduced to so many great composers, living and not, and the artistry is superb, always. No matter what you all sing, to me it is spiritual. I have appreciated all of your choices, you have led me down beautiful paths of musical discovery. Visions of Eternity was truly amazing – those beautiful women’s voices blending with the orchestra in that enormous space. Congratulations for your spectacular achievements. One voice – brilliant and magical. The concert Saturday night was absolutely fabulous. You all put music together in a truly sublime way. I had the opportunity of seeing you and hearing you singing live, and let me tell you that you really moved me to a higher experience. It was really amazing the sound and the connection that you projected. I’m sure Vivaldi would have been very delighted to hear you singing his Gloria. Congratulations! The Visions of Eternity concert was sublime. I felt like I traveled from the sky with the birds to the depths of the human hearts and its mysteries in this triad of work. I got goosebumps multiple times! What a wonderful concert last night. Truly, it variously cheered me and brought tears to my eyes and made me just happy to be alive.